To some people, dressmaking is a profession and some do it as their hobby. 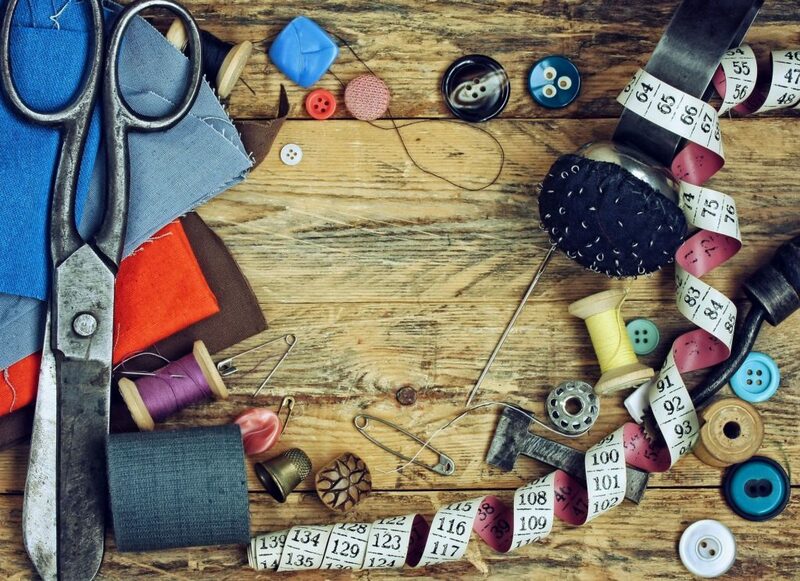 The professional dressmakers are generally called a seamstress, tailor, sewer, and alterations expert. 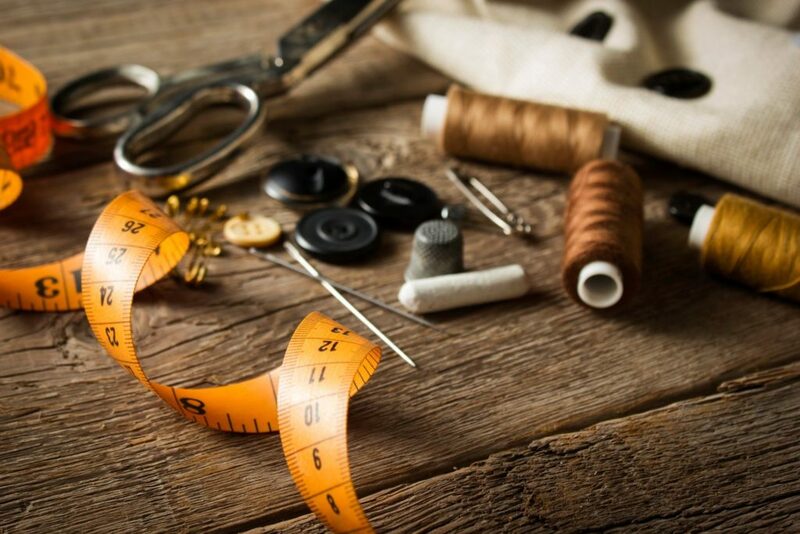 No matter what is your purpose of dressmaking – hobby or you are going to take it professionally you need to take the help of some essential sewing tools. Among so many types of sewing tools, we have here classified the most essential sewing tools listed by Sew Kit Kit. This short but effective list will help you to pick up the right one for your work without wasting so much time. A sewer basically needs 4 types of sewing tools which include measuring tools, tracing tools, cutting tools, pinning and sewing tools. Hem gauge is 6-inch long measuring tool commonly used for hemming. They are also known as sewing gauge. To measure shot distances sewers use hem gauge. To make dresses you have to measure the size of the hip, neck, arm etc. And, the hip curve is a perfect tool for measuring these distances. Sometimes you may need to transfer measurements from the original pattern to the fabric you are going to sew and L-square is the measuring tool that will help you with this. It is the most commonly used tracing tool of dressmakers. It is cheap and the marking can be easily brushed off after completing the work. The chalk pencil can become blunt after several usages and to make it sharp you can use a sharpener. Some tracing wheels are serrated and some are smooth. You can use a tracing wheel to create designs and lines easily. To transfer any pattern or design from original fabric to the fabric you are working carbon paper is very convenient to use. These are a white pencil to mark on the dark fabric and you can easily remove the mark with water. You can also use marking pens for marking on the fabric. There are many types of marking pens are available and among them the most common include- vanishing marking pen, water erasable marking pen, and a permanent marking pen. Now it is time to cut your fabric and you can use the following essential cutting tools to cut the fabric according to your measurement and design. Shears are cutting tool with a large blade that will cut across the fabric like butter. For easy and quick cutting every dressmaker includes this cutting tool in their toolbox. Shears with a zigzag edge are known as pinking shear. Reveling is a common problem every sewer face during sewing. A pinking shear can eliminate this raveling problem. Scissors are very similar to shears but there is a little difference. Blade of the scissor is smaller than shears and they are used to cut patterns, stray threads, tapes and many more. A rotary cutter is very sharp and handy fabric cutter that will let you cut thick fabric like faux, felt, fur and vinyl smoothly. During making the dress you have to cut thread many times and a thread snip is a handy tool to cut thread. A mistake can happen at any time and even a skilled dressmaker can do mistakes. A seam ripper is a tool that will help you to correct your mistakes without damaging the fabric. Sometimes you may need to make a hole in the fabric and an awl is the cheaper and easy to use tool that will help you to make a hole. Needles unite the cut fabric together when threaded. Whether you do hand sewing or machine sewing you need needles. Threads are also fundamental sewing materials. Matching with the color of your dress the color of thread is chosen. Different type of fabric requires a different type of threads. Depending on the quality of the fabric you have to choose the thread quality. To accelerate the progress of your sewing you must need a sewing machine. There are different types of sewing machine available in the market and they are different from one another with quality, price, working mechanism and so on. Depending on your affordability and necessity choose one that will meet your need. Pins are used for tacking. The most common pin types are dressmaker pins, glass head pins, and T shaped pins. Pincushions are used for arranging pins and prevent them from running around so that you can find them easily when you need. You cannot do all types of sewing with a machine. Sometimes you may need to sew by hands. During hand sewing, a common problem is pinching. A thimble can protect your finger from getting pinched. It is very natural for the fabrics to be wrinkled before, during or after the sewing. You can solve this problem by using an iron. We never can deny the necessity of using dress. So, you can take this as your profession without worrying. Dressmaking is a wonderful hobby also that makes you creative and helps to maintain good mental and physical health. 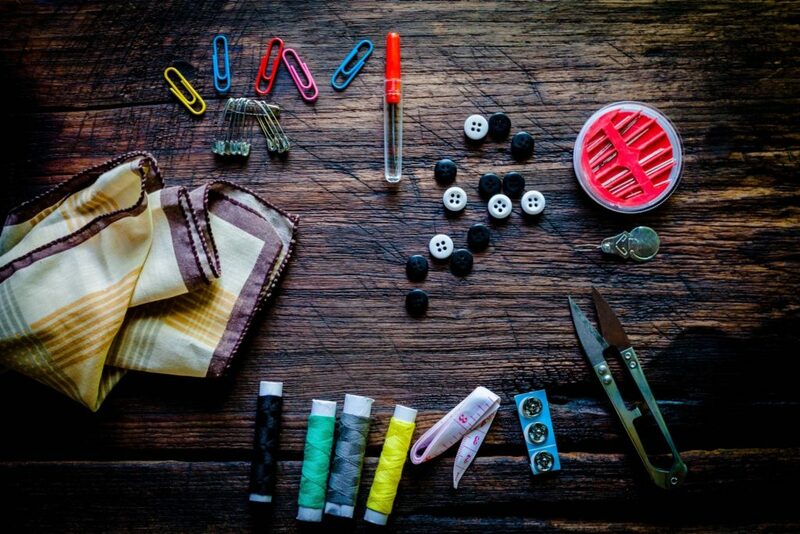 The enlisted essential sewing tools are considered as basic sewing tools that you just need to include your sewing toolkit to complete making a dress. Since different people need different tools according to their choice and needs we have kept some varieties so that you can easily find out the right one for you.